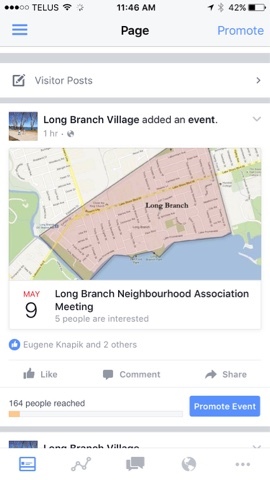 Long Branch Neighbourhood Association: Update & meeting invite - Long Branch Neighbourhood Association. Update & meeting invite - Long Branch Neighbourhood Association. Message from Brian Liberty, Interim Chairperson, Long Branch Neighbourhood Association. 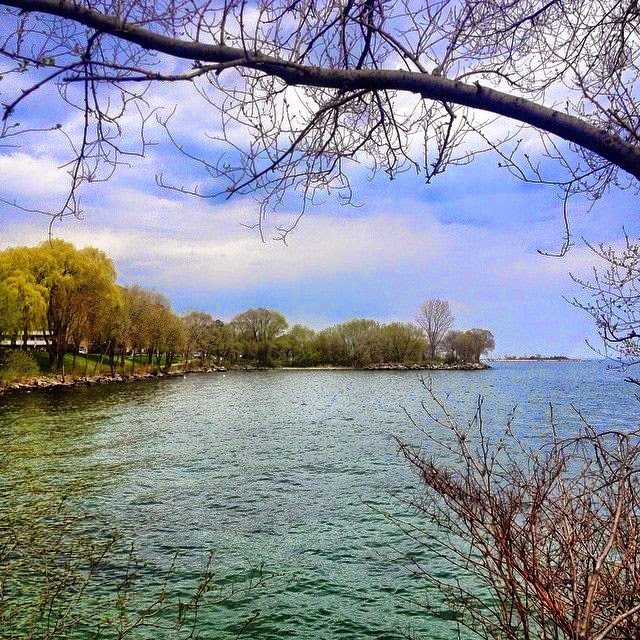 I hope you are enjoying the shift into Spring and are out appreciating many of the great things in the neighbourhood; the buds and blooms, migratory birds, yard sales, and more. I am pleased to be providing an (overdue) update on the progress being made with the Long Branch Neighbourhood Association. In November, you attended the launch meeting - a first gathering to gauge interest and begin moving forward as a community on projects and ideas. What a turn out! As you saw, the meeting was well attended with over 110 Long Branch residents in the room and an additional 20 that had expressed interest but were not able to attend. One week later in December, those that wished to take an active role in developing the association from the ground up, gathered again. I was gladly surprised to see another packed room with over 30 people (from all corners of the neighbourhood and skills backgrounds) willing to devote their time to actively work towards the formation of LBNA as the core 'planning group'. In the new year, this planning group has met on three other occasions at Humber College. The purpose of these meetings has been to develop a constitution/association bylaws, including a mission, objectives and other guiding principles. Proudly, the bylaw is nearing completion in time for the first ever LBNA Annual General Meeting to be held in the Fall! Keeping in mind that an incorporated Long Branch Neighbourhood Association still has more ground to gain, the group recently focused the discussion around moving forward on key issues and activities affecting Long Branch in advance of the AGM. There are a significant number of people already working on issues. Do you have a passion to put on a Long Branch event? Do you tell great stories of Long Branch years gone by? Are you interested in raising funds to assist the association in carrying out its activities? On May 9th, there will be a working meeting open to all that wish to join a sub-committee in the interim. Come and join the conversation that excites (or frustrates) you the most. Where: Humber College (Lakeshore Campus) - Building A, Room A170 next to the large cafeteria (see link below for campus map). The south entrances to 'A' Building are most accessible from Twenty Third Street. It is the large two storey building (formerly a public school) adjacent to the parking lot on the south end of the Humber student residences. The lot is metered and you will need to check if payment is required at the time of parking. If you have any questions, please don't hesitate to get in touch by phone or email. We look forward to many great discussions at the roundtables.